Heat juice enough to dissolve sugar, then cool to lukewarm and add yeast. Pour into crock. Ferment two to three weeks, skimming every day. When bubbling stops, strain into glass jars or a clean crock. Let rest, loosely covered, two weeks. Bottle and cork loosely. Check in a week or two to make sure all bubbling has stopped. When it has, cork tightly and lay bottles down. Age 1 year. Apple cider may be substituted for the apple juice in the above recipe if no preservatives have been used in the cider (like “Potassium Sorbate” or “Sodium Benzoate”). 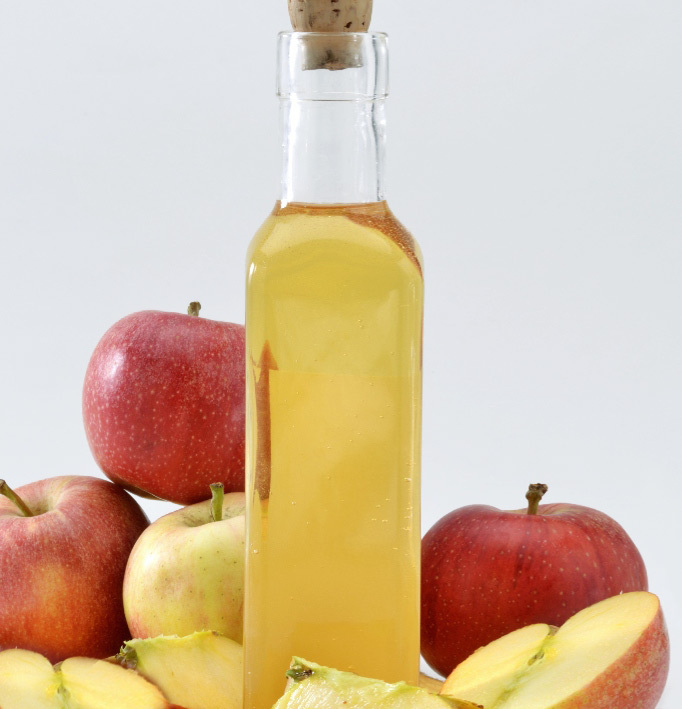 To make a barrel or keg of apple wine, fill a keg or barrel with apple juice, fresh from the fruit press. When half full, add 1½ pounds of brown sugar for every gallon of juice. Mix well, then continue filling the container. Put the cask in a cool place, leaving the bung out 48 hours, then putting it in loosely with a small air vent until fermentation ceases. Then bung up tight and let stand 1 year. The longer it stands, the better. Pour boiling water over chopped apples in crock. Add sugar and stir to dissolve. Let stand 3 or 4 days, stirring occasionally, then strain and return juice to crock. Add yeast and let ferment two to three weeks. Use recipe above, adding two sliced lemons and two sliced oranges to the chopped apples.